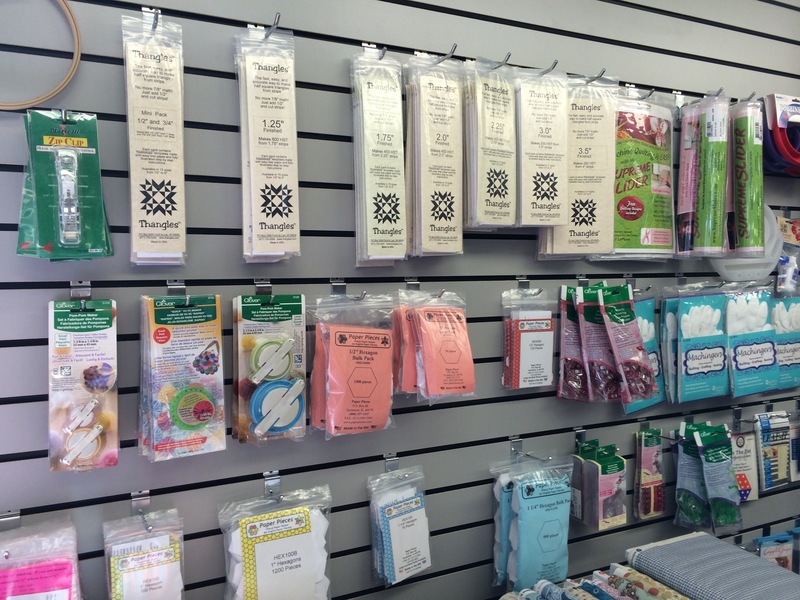 The other day I was looking at the Cotton & Steel website and saw that a quilt shop nearby carried their fabrics. 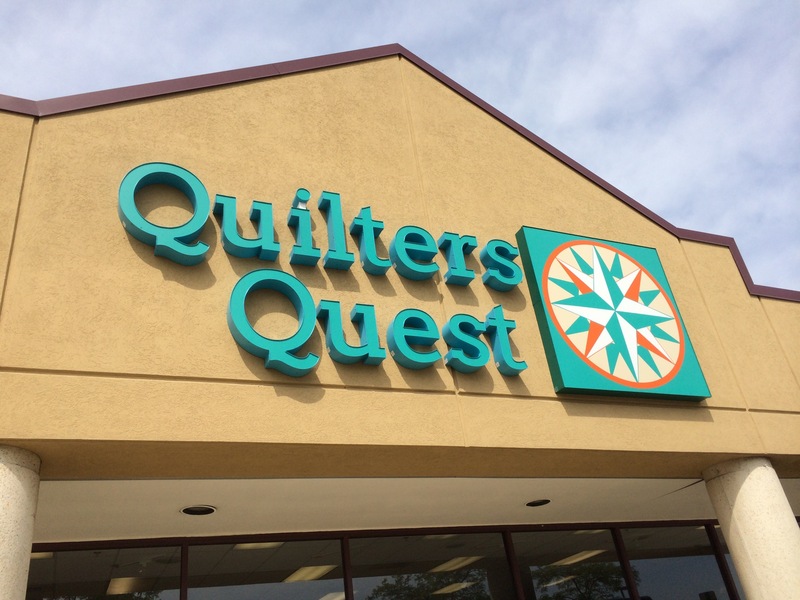 I have loved looking at the photos online and really wanted to see the fabrics in person, so yesterday morning I headed over to Quilters Quest to check them out. I brought Evie and Mira along, we stopped by on our way to the zoo. Evie wasn’t thrilled about the pit stop and it didn’t help that they were testing the fire alarm. There was also an enormous St. Bernard (Evie is terrified of dogs) and so I spent the majority of the trip browsing with Mira strapped to my front in the Ergo and Evie hanging on my back covering her ears. Despite this, I absolutely loved this place! They didn’t have the Cotton & Steel line in yet, it won’t be in until September, but I don’t mind taking another trip there when it’s in! 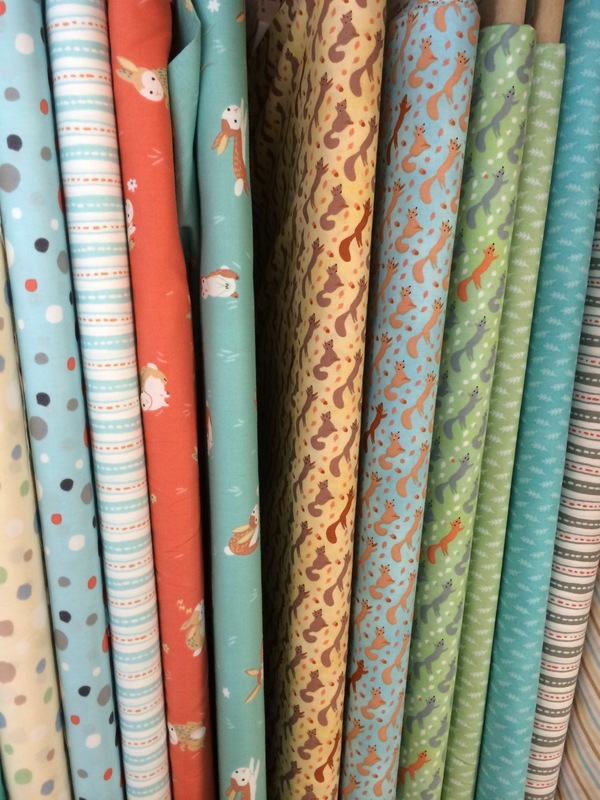 The selection was fantastic, they had so many amazing fabrics, I just wanted them all! 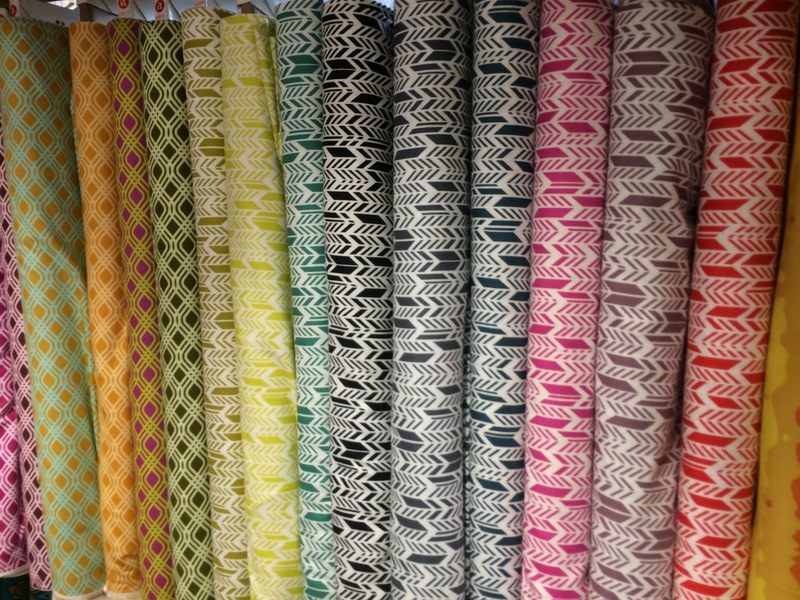 They had quite a few Heather Ross fabrics which are even more amazing in person than the photos I’ve seen online! They also had some of the Penguin & Fish Critter Patch line. I didn’t get any scraps, but I was really excited to see the scrap bucket! Since the majority of fabric I use is for english paper piecing, I use such small amounts. I want to get as much variety as possible so scraps are fantastic! I will definitely be taking a closer look next time I go! 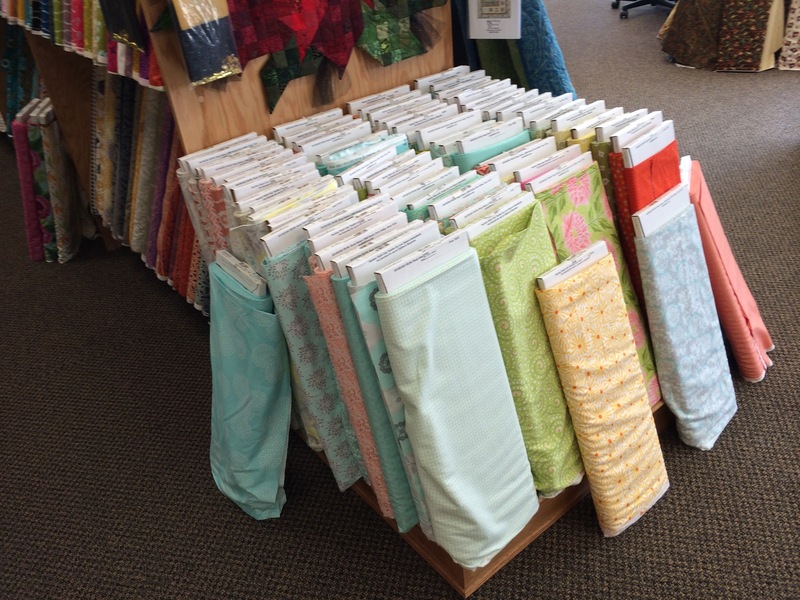 I was totally overwhelmed by all the amazing fabrics and the incredible selection. Coupled by the less than ideal browsing situation of two small children and fire alarm testing, I didn’t get to look around as much as I would have liked. 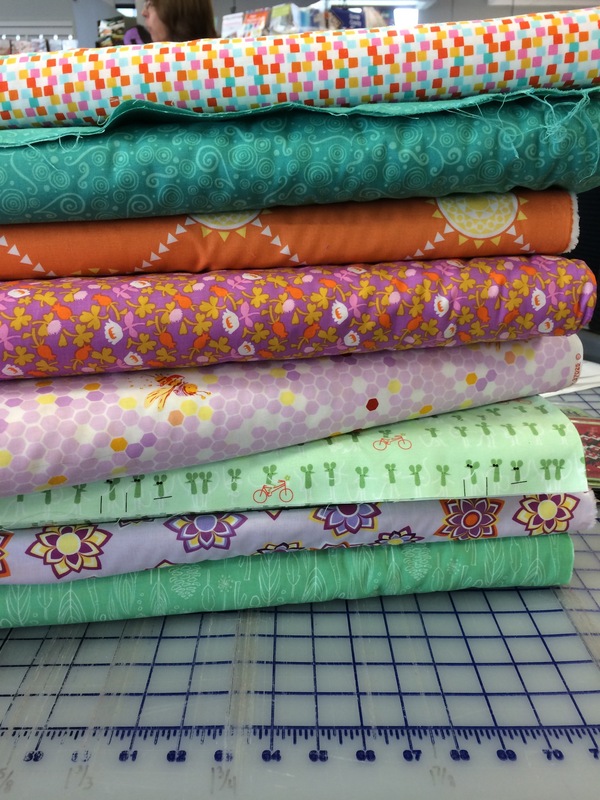 I did pick out a small stack of fabrics and got 1/8 of a yard of each of them. I plan on making hexies with them all, but I might also plan another smaller project to use bigger pieces to better show off the lovely prints! 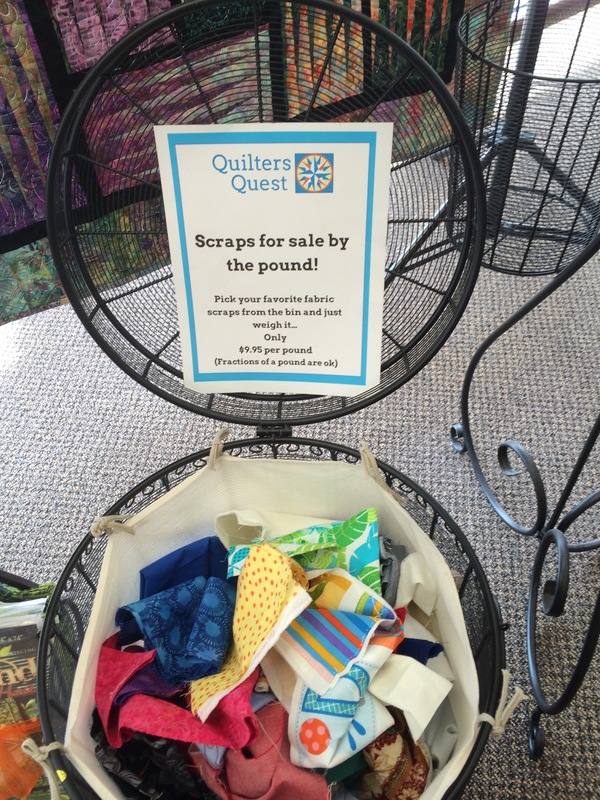 If you are in the Chicago suburbs, definitely stop by Quilters Quest in Woodridge, it’s worth a trip! Is that green one the Three Blind Mice riding bicycles???? There are some blind mice, but they aren’t the ones on the bikes. That would just be unsafe, the ones that are riding bikes have good eyesight. I’m in love with those minty mice! That one was on clearance and I just couldn’t resist getting some! It’s such a lovely color! i visited this shop in June. Can’t wait to go back next summer. I’m already looking forward to my next visit! They had such a great selection! Scraps by the pound! 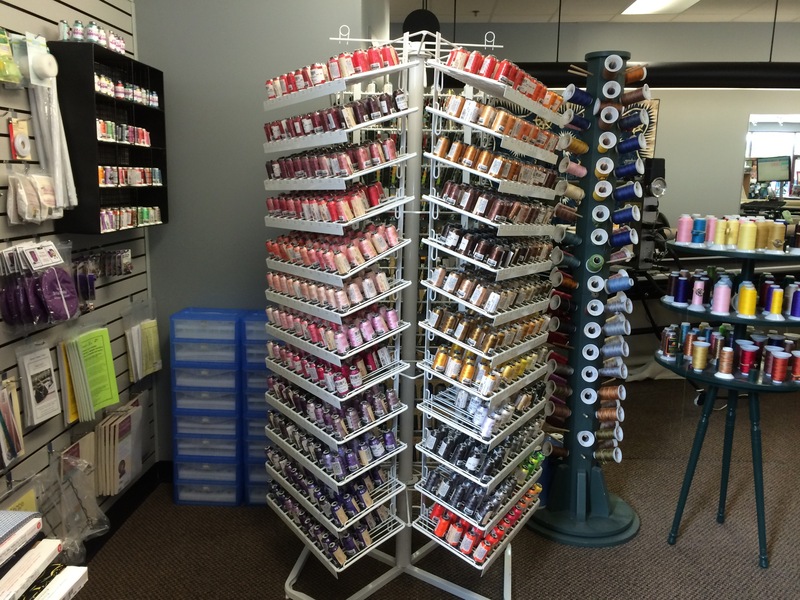 Oh my, that appeals to the fabric hoarder in me. I know! I wish I had more of a chance to sort through the bin. It’s so perfect for English paper piecing when you only need little bits!